Home / Uncategorized / Latest Superfood! Now in Stock! Latest Superfood! Now in Stock! No, not rabbit turds. JUJUBE! 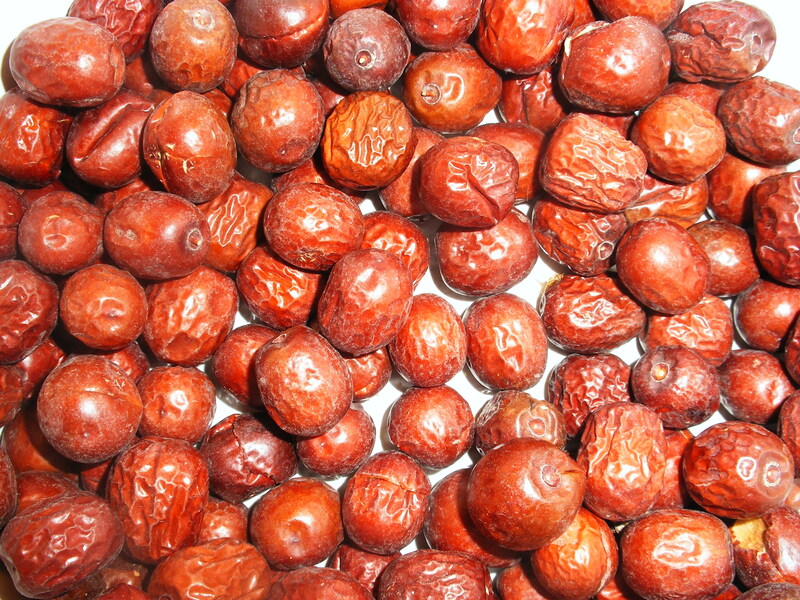 Jujube berries is what we’re talking about. Zizyphus zizyphus for all you Latin scholars out there. Thing is, the Iranians (and quite a lot of other people East of Athens: they are a mainstay of Chinese herbal medicine) have been eating them for millennia and have long recognised them as a superfood. They are enjoyed in their dried form alongside a cup of tea (they taste like Crunchie bars, honest), and eaten fresh during their very short summer season. They are widely recognised as an anti-depressant, but for the very best guide to their benefits we turned to the inimitable Dr. Khoshbin (who seems to practice in an art gallery, but has written a truly awesome volume of herbal remedies). Most importantly, he says, they promote laughter. They reputedly also stimulate the appetite, help you to sleep, reduce fever, combat chest ailments, clean the blood, accelerate hair growth and aid the memory. They are a ‘cold’ food (according to the Iranian belief in sardi and garmi*), and so those of a ‘cold’ disposition should eat them with a spoonful of honey on the side. Anyway, they taste good and we reckon they’ll be the next big health food fad. You read it here first. *Of which more in another post very soon. Promise. In today’s hectic lifestyle, we need superfood to get the nutrition because we are not getting enough nutrition from our regular diet. There are few superfoods in nature, but people know very few of them. Your post will be aware people and motivate them to use superfood. I am also a regular consumer of organic superfood spirulina.